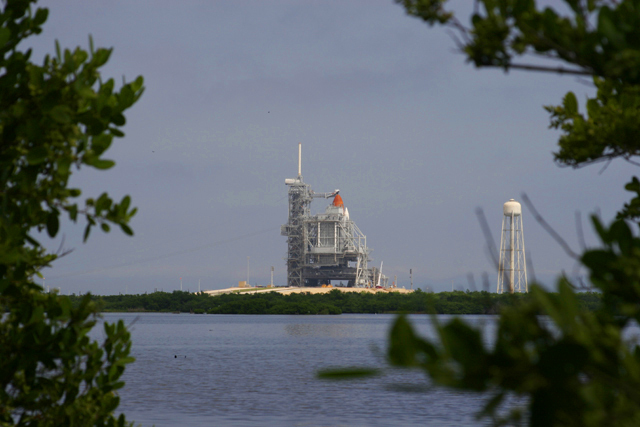 A few photos from the first attempt to launch Atlantis. Images were taken August 26 during remote camera setup (sunny images); and August 27 (stormy images) after the postponment due to lightning striking the pad, and then Hurricane Ernesto. 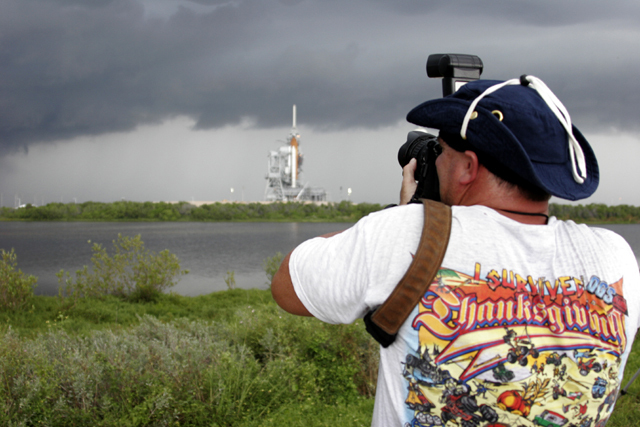 Photographers Bill Hartenstein and Gene Blevins (bottom) check their remote cameras and shoot the shuttle following the postponment.